WATER, SNAIL SECRETION FILTRATE, PHENYL TRIMETHICONE, DIMETHICONE, BUTYLENE GLYCOL, BUTYLENE GLYCOL DICAPRYLATE/DICAPRATE, ORBIGNYA OLEIFERA SEED OIL, BUTYLOCTYL SALICYLATE, CETYL PEG/PPG-10/1 DIMETHICONE, CYCLOPENTASILOXANE, CYCLOHEXASILOXANE, MAGNESIUM SULFATE, POLYGLYCERYL-4 ISOSTEARATE, DIMETHICONE/VINYL DIMETHICONE CROSSPOLYMER, ALUMINUM HYDROXIDE, HEXYL LAURATE, STEARIC ACID, CALCIUM STEARATE, CAPRYLYL GLYCOL, TRIETHOXYCAPRYLYLSILANE, ETHYLHEXYLGLYCERIN, CITRUS MEDICA LIMONUM (LEMON) PEEL OIL, TOCOPHERYL ACETATE, SORBITAN ISOSTEARATE, PHENOXYETHANOL, CITRUS AURANTIUM BERGAMIA (BERGAMOT) FRUIT OIL, 1,2-HEXANEDIOL, DISODIUM EDTA, CITRUS AURANTIUM DULCIS (ORANGE) PEEL OIL, CITRUS AURANTIFOLIA (LIME) OIL, VITIS VINIFERA (GRAPE) SEED OIL, PUNICA GRANATUM SEED OIL, PINUS SYLVESTRIS LEAF OIL, PERSEA GRATISSIMA (AVOCADO) OIL, NIACINAMIDE, CITRUS GRANDIS (GRAPEFRUIT) PEEL OIL, CHOLESTEROL, ANTHEMIS NOBILIS FLOWER WATER, LACTOBACILLUS/HONEYSUCKLE FLOWER/LICORICE ROOT/MORUS ALBA ROOT/PUERARIA LOBATA ROOT/SCHIZANDRA CHINENSIS FRUIT/SCUTELLARIA BAICALENSIS ROOT/SOPHORA JAPONICA FLOWER EXTRACT FERMENT FILTRATE, PERFLUOROHEXANE, OLEA EUROPAEA (OLIVE) LEAF EXTRACT, GLYCERIN, EUCALYPTUS GLOBULUS LEAF OIL, CAMELLIA SINENSIS LEAF EXTRACT, CHRYSANTHEMUM INDICUM FLOWER EXTRACT, PUERARIA LOBATA ROOT EXTRACT, PERFLUORODECALIN, MORUS ALBA FRUIT EXTRACT, MAGNOLIA KOBUS BARK EXTRACT, GLYCINE SOJA (SOYBEAN) SPROUT EXTRACT, DIOSPYROS KAKI LEAF EXTRACT, CINNAMOMUM CASSIA BARK EXTRACT, ARTEMISIA PRINCEPS LEAF EXTRACT, PENTAFLUOROPROPANE, CURCUMA LONGA (TURMERIC) ROOT EXTRACT, STEARETH-20, HYDROLYZED HYALURONIC ACID, COLLOIDAL OATMEAL, HYDROLYZED SILK, CITRIC ACID, SODIUM BENZOATE, POTASSIUM SORBATE, ALOE BARBADENSIS LEAF EXTRACT, N-HYDROXYSUCCINIMIDE, HYDROLYZED COLLAGEN, CAPRYLHYDROXAMIC ACID, TOCOPHEROL, THIAMINE HCL, RIBOFLAVIN, RETINYL PALMITATE, PANTOTHENIC ACID, PALMITOYL OLIGOPEPTIDE, NIACIN, FOLIC ACID, CHRYSIN, CARNITINE HCL, BIOTIN, ASCORBIC ACID, PALMITOYL TETRAPEPTIDE-7, CHLORHEXIDINE DIGLUCONATE. MAY CONTAIN: MICA, IRON OXIDES (CI 77492, CI 77491, CI 77499). Experience the best-selling, multitasking CC+ Cream with SPF 50+ now infused with IT Cosmetics proprietary Drops of Light Technology for a subtle touch of radiance! I love the CC+ original formula. It's got great coverage and is long wear for me. So I was excited to try the CC+ Illumination because I love a little glow for summer. Sadly with my combo skin I looked like a disco ball within a few hours. No matter what I set it with. It was perfect and just the right amount of glow for about 2 hours. But as the day went on and it warmed up on my skin it was so oily looking and really highlighted any skin texture and imperfections. My best friend has dry skin and this is the perfect solution for her skin type. I have found a great solution though! I tossed this in my beach bag and wear it as sunscreen on beach days! I get great SPF protection and it gives my skin a nice even look and I figure when you're at the beach you can be as glow as you want!!! For those who want a radiant glow! I love this easy to wear foundation. 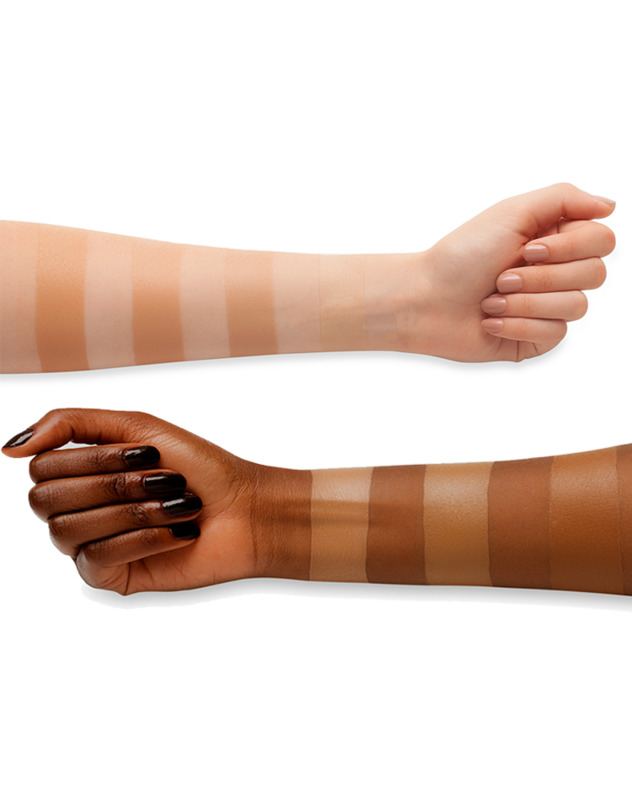 Don't let the CC+ Cream fool you, it's definitely a medium to full coverage foundation. I prefer this formula over the original as I have drier skin and I want something that had a glow in it without it being sparkly or sheer coverage (looking at you your Armani Luminous Silk...) and this is perfect. I pair this with a primer but I don't think absolutely need it. It's my go-to foundation for days I need to be quick in the morning but still want a fairly flawless skin. My mom loved my skin so muhc, I ended up buying her one as well. I don't find it getting oily during the day at all and doesn't fade like a lot of radiant or luminous foundations. It really performs like a high-end foundation. My skin is sensitive to a moderate degree, and I have some redness issues from broken capillaries on my cheeks and nose. I was looking for a nurturing foundation that would have an efficient sunscreen, be easy to use and apply, that could provide a good and natural cover up of redness without looking like I was wearing a lot of makeup. After a long research, reading reviews and watching videos on the it cosmetics website I decided to try this one, and to be honest, I had quite high expectations. Not for miraculous results, but above average. This product did not meet any of my demands and had some negative side effects as well, that I was not expecting from a brand that markets it self as it cosmetics do. The applicatin is not pleasant, wether I use the recommended it brush or just fingers it doesn't blend in well, it feels thick and sticky, and I have to apply an enormous amount to get a somewhat descent cover of the redness on my cheeks, which is (in all honesty) nothing like the redness you see in the promo videos. So either I choose an inefficient coverage or I create a very clear mask of clay on my skin looking extremely painted. It somehow enhanced the pores on my cheeks especially, and using the bye bye pore powder afterwards didn't really help. That just enhanced all of the little hairs in my face, and again, I don't have a lot of those either, doing only little to minimize pores. An hour after putting it on it had irritated my skin, so I was walking around with a red frame around my mouth and nose, something I have never experienced a foundation doing before. Three hours later it had dried out my skin a lot, so when smiling I had dryness wrinkles coming all the way down from my eyes over my cheeks, almost reaching my jaw bone. Never tried that from a cream either. I had used my regular skincare regime, and over that applied the collagen veil primer from it cosmetics, before applying the foundation. When I reached the afternoon of the first day of wearing this, I had dry and tight skin, the coverage was gone and I had an irritated, even more red than usual, skin, and the cream was flaking off, starting to get cakey over my cheeks, even though I didn't apply vigorous amounts of it. I gave it a shot using it for a week, thinking that my skin maybe had to get used to it; same results. I'm in no way a big make up artist, doing all sorts of contouring, but I can apply a foundation making it look somewhat natural, and this product just came out worse than I could ever have imagined. Maybe it works for others, but definitely not for me, and to be honest; I'm really disappointed. I'd done my research, picked out a product after what it promised, and not one of those promises has been kept so far, it only made matters worse. I would really not recommend it, I won't but it again, and my hunt for a descent foundation continues, unfortunately. first i purchased the original formula in shade fair which i like a lot. Now i thaught that for my spring or summer tan maybe she shade light will be fine. Fair is a tiny bit too light and now light is a tiny bit too dark for my winter skin. I decided to mix both. What i like on both is the lightweight and the coverage. The original is matte, but when i want my skin a little bit more natural looking then i decide the luminous, which is not glittery at all. It just looks sooooo natural! I think i will order the luminous CC Cream in Fair aswell. A great product for me. What i miss are more shades to choose. The BEST foundation on the market! Thank you for creating this Jamie I cannot thank you enough! This cream is absolutely the best foundation I have used on my skin ever. It goes on smoothly, pretty much eliminated all of my lines/freckles/uneven tones on my face. I also love the illumination in it. I will continue to make this an essential item in my makeup collection for life! I had sadly ordered this by mistake thinking it was the original cc cream, but decided to try it out anyways. Unfortunately the shimmer particles in the formula are too much! The shimmer is extremely visible on the skin & makes it look oily from a distance and super glittery up close. It was also separating around my nose area & just did not look flattering even though I powdered my face. I am 70 yrs old and have a lot of fine lines. This foundation does not settle in them. It is a product that is full coverage. It is also long wearing. I bought this once before but at that time they only had the medium shade. Now they have light and fair. The light is perfect for my skin tone. I am a Retin-A user, so wearing a sunscreen is necessary on a daily basis. I hate most sunscreen products and they don't work well under makeup or with a moisterizer. Now, I have a wonderful foundation and the SPF50 is included without the feel of a sunscreen. I will definitely reorder this product. I am a California Licensed Esthetician and I have tried many products over the years from the Professional all the way down to the Drug Store brands. This is the best for me. I highly recommend this. 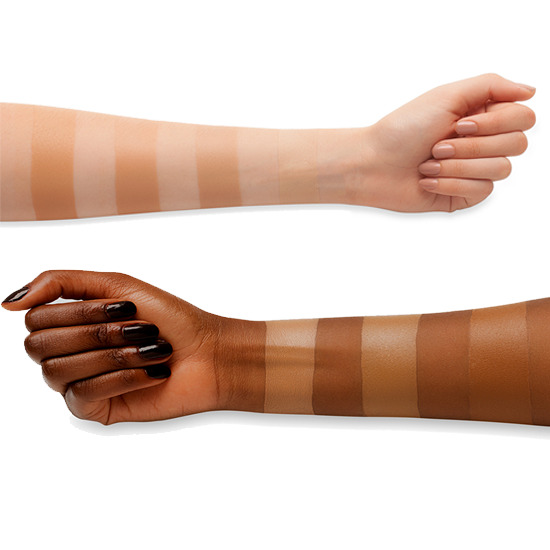 Just choose the right shade for yourself, that makes all the difference. I have normal skin. Thanks for the mascara sample - seems like a good product too. 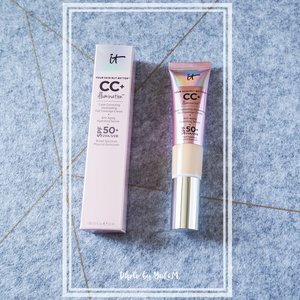 I adore this CC+ illumination cream. I have it in the shade Light and it's a perfect match for my skin tone (I'm usually the second or third lightest shade in all foundations, BB creams etc). 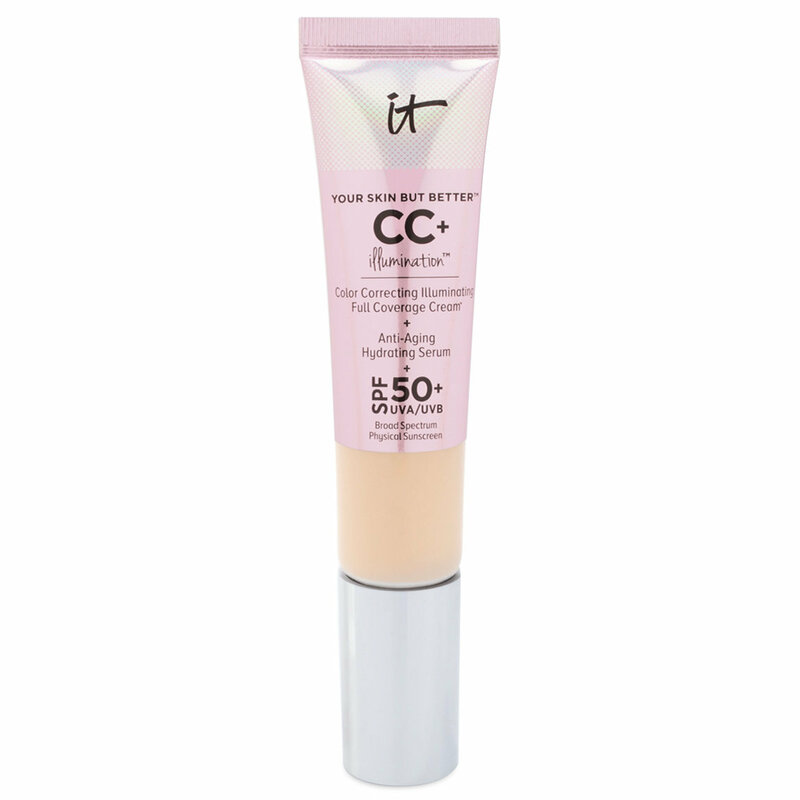 I have a pink undertone which I hate and this CC+ cream hides my pink(ish) tones without making me yellow, or covering my freckles (definitely a medium coverage rather than a full, which is fine for me). I have combo skin and this dewy CC+ cream doesn't make my T-zone oily which surprised me. I would definitely order again.